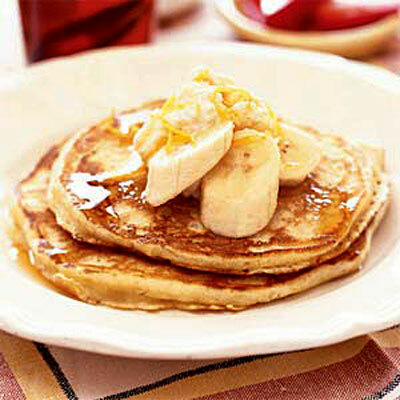 Make your weekend breakfast special with this irresistible recipe for lemon-ricotta pancakes. Creamier and zestier than your average pancake, the part-skim ricotta cheese and lemon peel are mixed right into the batter. You won't believe how good they are until you try them. Easy to make, pair them with ripe fruit and you'll be energized and ready to enjoy the weekend.